Grant Morrison’s New X-Men run launched in May 2001, and more than a decade later it is still a fascinating and thrilling head-trip of a read. This specific run of New X-Men is well-remembered for the controversial transformation of the sometimes sympathetic villain Magneto into an outdated genocidal maniac – which has since been retconned. But for all of the complaints against that particular plot point, there are plenty of characters and ideas that Morrison instituted that are now mainstays of X-Men lore. Morrison began pitching his New X-Men story to Marvel shortly after the success of the 2000 Bryan Singer film. Like that first movie, Morrison’s X-Men team ditched the spandex altogether and went for a more militaristic/stormer uniform. The characters themselves questioned why they dressed as superheroes in the first place. New X-Men introduced the concept of “secondary mutations,” giving additional powers to characters like Emma Frost in her diamond form and the constantly evolving Beast. Though it’s entirely hard to fathom, Grant Morrison was the man who outed Charles Xavier and the Xavier Institute as mutants, firmly reinforcing the ideals of self-acceptance and tolerance that Stan Lee and Jack Kirby had intended for the X-Men, created nearly 40 years prior. Though this New X-Men run lasted 40 issues, the series could conceivably be read separately – arc by arc. Storylines ranging from one to nine issues were packed with emotional resonance and high-concept philosophies. Typical to form, Morrison’s New X-Men scripts were full of self-aware characters whose every line of dialogue felt intentional and heavily significant. Grant Morrison kicks off his epic with the mass-genocide of Genosha – the island consisting of half of the mutant population on the planet. We discover that the culprit behind this attack is Cassandra Nova, Professor Xavier’s twin sister that he killed in the womb. Another villain Morrison creates is John Sublime and his U-Men: normal human beings who wish to gain powers through harvesting mutant organs. Magneto “died” on Genosha only to revealed to be in hiding among the X-Men as the mutant healer Xorn, cultivating a new generation of Brotherhood of Evil Mutants, crippling New York City and killing Jean Grey in the process. 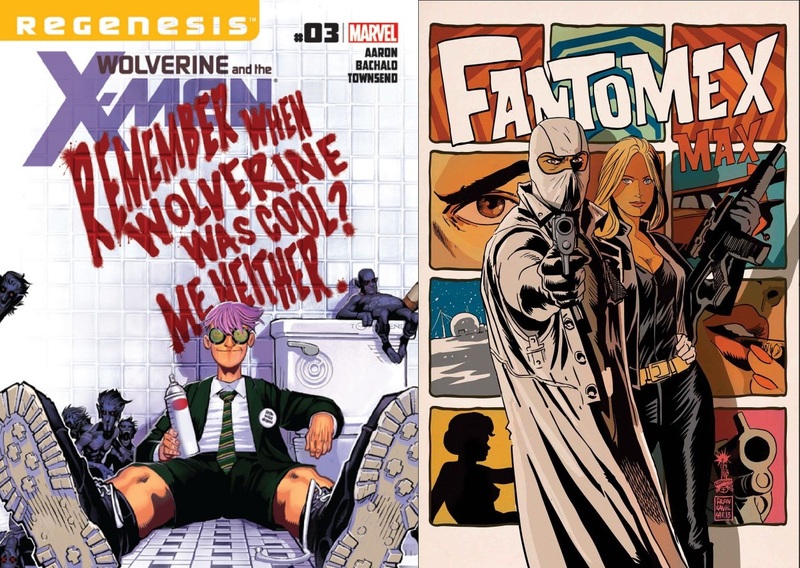 Morrison also created the savvy, super-cool Fantomex, a master thief and self-invented character that came from the same government program that Wolverine did. Morrison is known for his big, sci-fi ideas, but New X-Men also nailed the character work in a way that X-books up to that point had been missing for some time. Cyclops is often portrayed as a Boy Scout leader without much depth, but Morrison utilized this and turned him into a man without a purpose, questioning everything following a recent possession by the villain Apocalypse. Morrison gave us a Scott Summers whose marriage was falling apart and who was committing telepathic adultery with Emma Frost – a far more interesting character than the self-important Magneto-lite that is featured in today’s X-books. X-Men books can often transform into episodes of “The Wolverine Variety Show,” but here the X-Man is placed as an equal member of the team, used only when necessary. 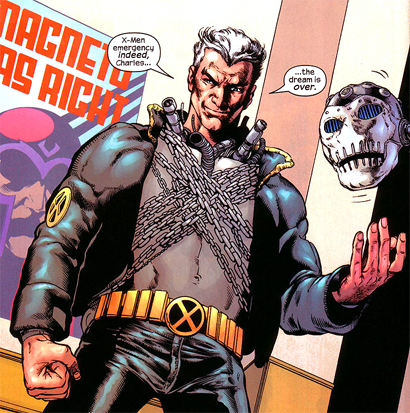 Even the “C-list characters” who make meager cameos were given imaginative uses and purposes – Jamie Madrox, The Multiple Man, made a reference about vocally harmonizing with his fellow duplicates from time to time. Grant Morrison is a man who knows his comics history and utilizes characters in new ways that still honor their core concepts. 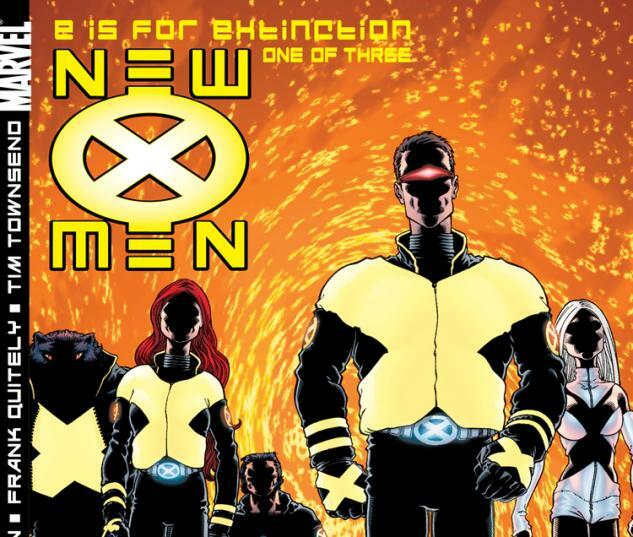 Grant Morrison’s New X-Men isn’t a perfect piece of comic book literature however. The 40-issue run starts off strong, but sometimes Morrison can’t match it at the back end. The penultimate arc “Planet X” was followed by a “Days of Future Past”- inspired dystopian arc called “Here Comes Tomorrow,” which of course didn’t feel as significant, knowing that everything would go back to the way it was. The art was split among a handful of artists such as Ethan Van Sciver, Igor Kordey Phil Jimenez and frequent Morrison collaborator Frank Quitely, among others. Quitely’s particular style of self-assured characters gels well with a team of X-Men who have been fighting the good fight for years. Ethan Van Sciver takes pleasure in the grotesque aspect of Morrison’s new and strange mutants. Kordey somewhat stumbles along in places, with character work that sometimes makes it look like faces are melting off. Jimenez succeeds as a modern John Byrne of sorts, especially in “Planet X,” where he rarely falters. Imperfect it may be, Grant Morrison’s New X-Men run is a wondrous piece of pop culture that has added so much to the X-Men universe. 13 years later we have characters like Quentin Quire, Fantomex and The Stepford Cuckoos still prevalent in the comic books. Morrison’s human fly mutant Angel made it into X-Men: First Class, as did the Weapon Plus concept in the abominable film X-Men Origins: Wolverine. There’s a lot of staying power in Morrison’s ideas, which laid the foundation for X-Men stories of the past decade and beyond. Read it? If you love X-Men and/or Grant Morrison, absolutely.